Decorative banner vector graphics. 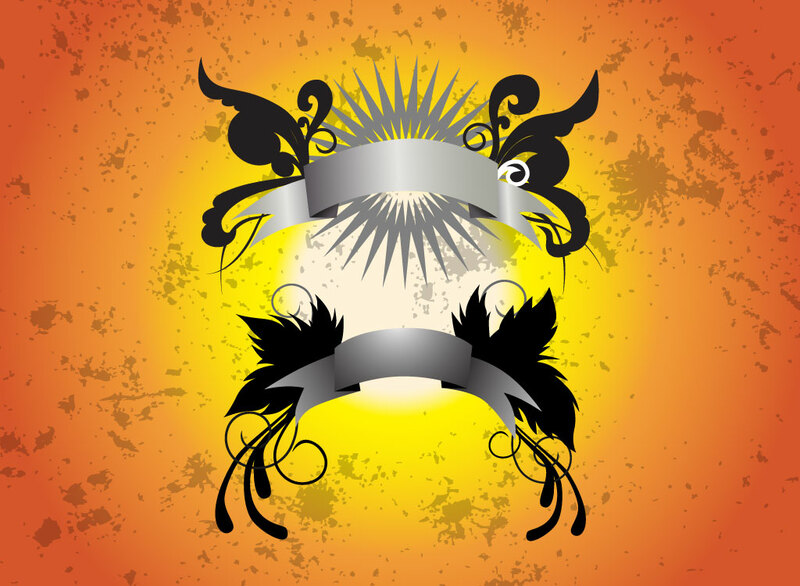 Pair of two vector blank banners with fantasy inspired design elements. The Illustrator images are rendered in gray and black tones and resemble fairy wings, leaves and flowers. The free download is set on an orange and yellow gradient background with grunge texture overlay. Tags: Design Template, Fairy, Fantasy, Grunge, Heraldic, Heraldry, Medieval, Wings.